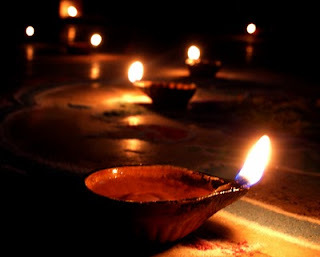 Today is Diwali - the festival of lights! When I awoke this morning, there was an extra bounce in my step, an unintentional smile on my face, I was generally happy. There wouldn't be any work today. There would be sweets. There would be fun. Many people however, woke up this morning feeling breathless, not because of the smoke from the crackers but because there was fluid in their lungs. Many people woke up this morning feeling nauseated, not because of eating too many sweets but because the toxins in their blood had crossed comfortable limits. Many people woke up this morning depressed and anxious about how the day will be, despondent, wondering how long this suffering would last. Not because there was no treatment available for their symptoms. Not because they had some undiagnosed condition which baffled doctors were unable to cure. But simply because they did not have the money for dialysis. Simply because they could not afford to spend their life's savings on a treatment that they would have to undergo week after week after week, life long. I myself have seen many people die due to the lack of resources to get dialysis. This is now slowly changing. Apart from Aarogyasree in Andhra Pradesh, we have the Jain Dialysis Trust (or the Bhagwan Mahavir Jain Relief Foundation Trust) that provides dialysis at Rs. 300 for people who cannot afford it. The trust bears the balance cost of Rs. 500 per session. The trust is now more than a year old and has saved hundreds of lives by tying up with hospitals and dialysis centers in the city and offers subsidized dialysis sessions. They distribute coupons for dialysis on the last Sunday of every month for sessions in the following month. They also provide erythropoietin injections and dialyzers and blood lines at cost by sourcing them directly from the manufacturers getting them at a low cost. The trust has recently been allotted an area of 6,500 sft at King Koti Hospital and is setting up a state-of-the-art dialysis center with 20 machines. This is huge as now patients can avail dialysis sessions at the trust center also. The trust plans to make this center world-class and not compromise in any manner on the quality of dialysis being offered. What can we do to help patients suffering from this disease lead a life that can be as close to normal as possible? You can also call Mr. Inderchand Jain on +91 98852 98100 for more information or visit their website. If you think all this is too much a hassle but still want to contribute, drop me a line and I could arrange for this to happen too. Let us do something for the less fortunate this Diwali and bring light to their lives as well. Happy Diwali!